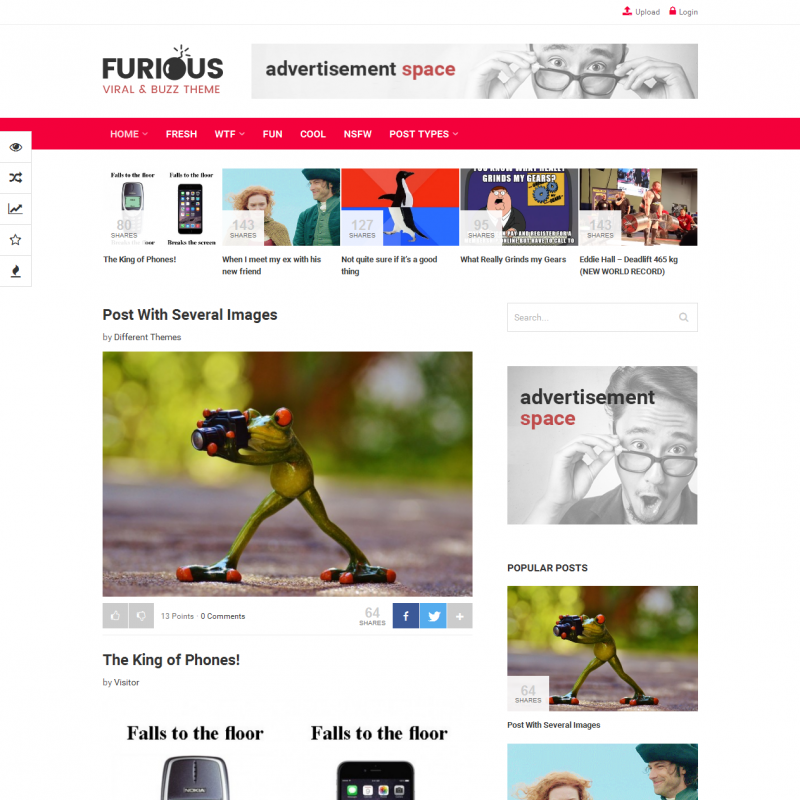 Furious is a premium WordPress theme. You may translate it to your language with Poedit translations editor. 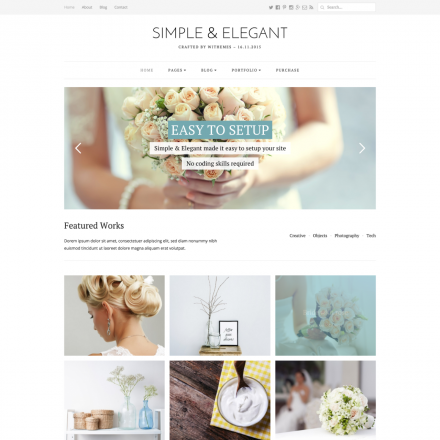 Furious is a vivid theme for sites where content is created by users themselves. Your visitors can share their media files (images, gif, and mp4) and add links to files in social networks. The theme supports infinite loading, post formats, quick links, allows voting for items and sharing them in social networks. Furious provides its own banner management system and a Mega-Menu. The sidebar can be positioned at the left or right side, or it can be disabled. You can install demo data in a single click.